Security threats have never had more public awareness than they do currently; 2017 saw major events such as Wannacry galvanise the public’s attention and affect organisations all around the world. In 2018, security breaches will continue to hit the headlines and influence businesses into reviewing their data protection. And of course GDPR will be a major factor in promoting sales of security solutions. The reality is that security will continue to be a high growth area for the channel. In a market which is already overcrowded with solutions, 2018 will bring great opportunities for resellers to build on their position as trusted advisors and guide clients through what may seem like a worrying and confusing scenario. Sadly, security breaches will continue to be a regular occurrence in 2018 and organisations will struggle to deal with them. New security challenges will abound and these will grab attention in the boardroom. 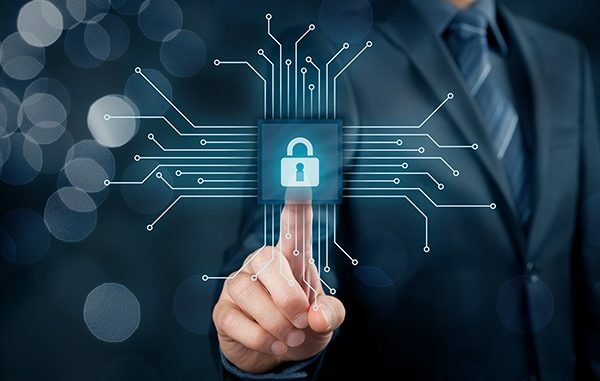 Senior management is increasingly focusing on security issues and recognising them as a core business risk, rather than the responsibility of the IT department alone. The coming year will see further commitment from the boardroom to ensure that organisations are protected. Too much money is being made from ransomware for it to disappear – it won’t. According to Cyber Security Ventures, global ransomware damage costs for 2017 will exceed US$ 5 billion, with the average amount paid in ransom among office workers around US$ 1400. Companies can help prevent ransomware by tracking everything coming in and out of the network and running AV solutions with anti-ransomware protection. And, of course, you should do regular backups to a structured plan, based around your own business requirements – and make sure you test the plans. There will certainly be further episodes from them in 2018, so patch management, security and regular backups will be more crucial than ever. A major target of these hackers is the data that organisations hold, including PII (Personally Identifiable Information) and corporate data, so protecting the data ‘crown jewels’ inside the network will become ever more crucial. The arrival of GDPR in May 2018 will, of course, be a big story. However, many organisations are missing the main point about GDPR. It is about identifying, protecting and managing PII – any information that could potentially identify a specific individual. This will become more important in 2018 and there will be considerable focus on identifying, securing and, where required, deleting PII held on networks. Unfortunately, GDPR will give a great opportunity to criminals, hackers, disgruntled staff and anyone who might want to do an organisation harm. They simply have to ask you to identify what data you hold on them, ask for it to be erased, and ask for proof that it has been done. If you can’t comply, they can threaten to go public – exposing you to the risk of huge fines – unless you pay them money. Watch out for that one! It is now possible for anyone to ‘rent’ a DDoS attack on the internet. For as little as US$ 5, you can actually pay someone to do the attack for you! https://securelist.com/the-cost-of-launching-a-ddos-attack/77784/. This is just one of the reasons DDoS threats will continue to escalate in 2018, alongside the cost of dealing with them. The dangers of DDoS for smaller companies are that it will leave them unable to do business. For larger organisations, DDoS attacks can overwhelm systems. Remember that DDoS is significantly under-reported, as no-one wants to admit they have been under attack! Problems with cloud insecurity will continue to grow in 2018 as users put more and more data on the cloud, without, in many cases, properly working out how to secure it. It is not the cloud providers’ responsibility to secure the information – it is down to the user. With the introduction of GDPR in 2018, it will be even more important to ensure that PII stored in the cloud is properly protected. Failure to do so could bring serious financial consequences. Historically, insider threats have been underestimated, yet they were still a primary cause of security incidents in 2017. The causes may be malicious actions by staff or simply poor staff cyber-hygiene – i.e. staff not using the appropriate behaviour required to ensure online “health.” In 2018, there will be growth in cyber education, coupled with more testing, measuring and monitoring of staff behaviour. This increasingly involves training and automated testing, such as simulated phishing and social engineering attacks.